Might have been me via Twitter or here Robert. Thanks for this lucid masterly exposition of the big pictures as it’s completely ignored by conventional media and govt over here. There has been more rain in SE England today, but no reporting of underlying change. Yes! It was you, Spike. Ah, more abandoned cars stories. That and the term ‘water rescue’ have been all too common lately. I commented on another thread about this — it appears mainstream media is more interested about bookies bets on whether or not August will be the UK’s wettest than they are in the wet weather’s underlying causes. Hope you’re hanging in there and have the hatches ready for battening this Fall and Winter, my friend. Thanks for sharing that local news Spike, as an expat now residing in the Southern Hemisphere, I like to keep track on what is happening back in the U.K. I am approaching 70 years old and can recognize the abrupt changes that are now happening. I worry that younger folk will accept this as the norm, as they will have grown up in these times of change. More on London here – if this is happening in August one wonders about the coming months. We were luckier in central England – it passed over at about 5am – sounded like someone had turned a hose on all the windows for a brief period. I am feeling rather relieved that I don’t live on the West Coast,or near a water course having read this article. I do regularly post your excellent work on social media adjacent to such reports in the hope that more and more of my countrymen will join the dots and push for action. Keep up the great work my friend. While I accept the premise that this is one of the worst summers in the UK, ever, and the cause, for the majority of the UK population this is just another bad summer not hugely outside of the expected norms. Last years summer was generally nice and warm. Most of us have experience of bad summers, August 1978, springs to my mind, and while there has been wet and horrible weather around when the sun does come out it can seem quite reasonable. Most of the population spends the day in work, in doors and travel around in cars and then spend our days in houses generally not designed for outdoors living. We just do not experience weather to the same degree as past generations and this in part makes it more difficult for people to accept that weather/climate is changing and is likely to change further. Most people are satisfied by the weather forcast explanation of “it is caused by the jet stream” and are not bothered to ask why is the jet stream behaving so oddly. If the media and forcasts do not explain the cause then the politicians and business men are left off the hook and free to ruin the future. I can gently explain a possible cause to friends and colleagues but while it may get them to think about the possible causes it generally does not lead to a deeper conversation. A big part of the problem is a politically emasulated BBC (under constant attack since the Bush-Blair Iraq war), a Met Office forced to act commercially (they have just lost the BBC contract) and media reacting to advertising pressure. The result is no public debate about climate change in the UK at the present time despite the Paris conference rolling up. P.S. Robert drop the reference to England, UK, Britain, British Isles or Britain & Ireland would be better and more inclusive, it would also save my teeth from grinding! Will do, Jeremy. Sorry about the teeth grinding. That hot blob of of New England is really striking. So is Boston and environs likely in for another super snowy winter, do you think? I think the nor-easters we see this winter will put the ones we saw last winter to shame. The firing line appears to be setting up a bit further south, though. Looks like the Mid Atlantic through Florida and the Gulf states are set for some very severe weather. First off, Robert, great post!! Took a look at that webcam. I think this scene — a swelling ocean taking over the beach area and running against dunes or seawall — is a sadly common one. My hometown, Virginia Beach spends millions every year to pump sand onto the shore. And when my family goes to the Carolinas for vacation in the Fall, You can’t walk 3 blocks without running into a vacation home that’s being washed out by the ocean. As an outer Cape Cod, Wellfleet MA resident (33 years now), and before that a summer vacationer since birth, I can attest to the more severe Atlantic beach and coastal dune whittling now occurring. Winter storm erosion has always been a fact of life along the outer beaches, but the recent sea level rise has exacerbated this loss. While further along into North Truro & Provincetown some areas have not lost as much (and even gained some) due to the sand washed along from places like Coast Guard beach. Yet now, with sea level rise even these small gains will be swept away. More dramatically it won’t be long before the break through at Ballston Beach in Truro into the marsh at the head of the Pamet River divides the Cape with a complete oceanic inlet from the Atlantic to the Cape Cod Bay. More noticeable to me is how the vast low tidal flats that used to exist on the bayside of the Cape when I was a child are just no longer there! And the Bay beaches are narrower too at high tide. Eventually the loss of homes along the Atlantic side that has been an ongoing fact will eventually eat away at the multi-million dollar homes perched on the bayside as well. Thankfully, for now, I’m situated well away from the coast and at a 50 foot elevation. But in the long run, with the kind of sea level rises already potentially baked into our cake, a lot of Cape Cod is doomed to being swamped and swept away. Unfortunately the level of awareness that these sorts of abrupt changes in sea levels and climatically altered storms to come and the untold damage they will do is practically non-existent. The number of happy motoring vacationers crowding the Cape this summer may end up being another banner year. One final anecdote. A lobsterman I spoke with says his catch is down this year after several years of good ones, and I mentioned how the lobsters are apparently trying to move north into the cooler waters they prefer. None the less, he is building a new diesel fueled boat to add to his fleet. So it goes in crazy land. I grew up in Scituate and have been going back to visit a few times in the past year due to family reasons. The high water mark at Wells Rock on Minot Beach appears to be about a foot to a foot-and-a-half higher than I remember it to be in the 1970s. in Central America it has been very dry. Lake Atitlan is filled with cyanobacteria. and it is very hot for us here in the highlands..
Oh great . . more snow to look forward to .. . . . Thanks for another fine update Robert. This development indicates the abrupt climate change that many thought would never happen. Now it seems every day there are more signs that we’ve passed a tipping point and things are accelerating and out of control. There may quite possibly be persons alive today who will see New York City and other coastal metropolitan areas abandoned within their lifetimes due to 3 to 4 metres of sea level rise. I’m sorry to say that it’s likely we’ll see some of these areas abandoned (even if SLR doesn’t hit 3-4 meters so soon). My wife and I love the beach, as so many of us do. But I refuse to hold property there now and have been urging my parents and grandparents to leave. It’s sad. Such a beautiful place. But now ever more dangerous. I would think that with the storm surges, sea expansions, sea level rise caused by lower drag from the Gulf Stream plus general background fear, will bring about a lot of changes not only in New York but all along the eastern seaboard. I’m a pensioner and I plan on probably seeing significant changes in the next few years, let alone decades. Parts of New York are quite a few meters above sea level but certainly Queens and the JFK airport are going to get a trifle more than damp. Sigh… mentioning being a pensioner is close to home for me. I was looking forward to a retirement where I could make nice things in my woodworking shop, grow my garden and write curmudgeonly letters to the local newspaper editor. I’m several years into retirement now at age 67, but things are not likely to get better. The smoke from wildfires has been worse every year, along with everything else related to climate change and general environmental degradation. At least I’m not near the coast with the worries attached to SLR, algal blooms, and generally having to watch the ocean dying. It’s bad enough just having to watch my particular part of the planet dying. Have to find strength somehow to deal with the coming storms. The west has had a particularly rough few years. It seems to me that, from your region at least, concern is on the rise. Scientific reticence and sea level rise indeed. 1 foot? I suppose they’re only looking at the last Century. Trouble is, glaciers tend to destabilize more rapidly outside the 1 C comfort zone. We’re pushing that now. Also, if you go to 6 C in paleoclimate you get 40 feet per degree C. SLR response to warming appears to be asymptotic. Slower in the closer to ‘normalized’ ranges. More rapid the further you stray. Temp itself is not the only variable worth looking at. Energy imbalance at the top of the atmosphere implies a rate of heat uptake by oceans that provides melt pressure on sea facing glaciers and ice shelves. That was an interesting exchange on Twitter. The great Kees van der Leun was calling them out for being far too conservative as well. A very misleading day for NASA’s Sea Level Rise account. We had this NASA news in Norwegian media too, way too conservative imo. And naturally at least one media outlet had front page denier nonsense from a retiring physicist at a university here in Norway giving a lecture about the “climate panel” not looking at the sun and other factors for climate change. Its always a classic case of denial when they treat IPCC as the source of AGW information as if it was them who came to this conclusion. I wonder how people like that can even be teachers at a university? It’s a false frame. We should be viewing many of these folks at NASA and IPCC as the real skeptics — as skepticism is naturally part of the science. The denialism is industry and special interest funded. And should be viewed as a form of political marketing. Because that form of marketing is based in delaying responses — it results in ever more egregious harm. And the funders and supporters of denial are involved in criminal activity in which the victims are us all. Jindal, for example, was attacking Obama for supporting climate action. I suppose Jindal doesn’t care too much that New Orleans and all of southern and eastern Louisiana is being devoured by the Gulf? The land there wouldn’t be subsiding so much if not for the oil industry. And, of course, the Gulf wouldn’t be rising, the storms intensifying at their strongest. Jindal serves no interest but that fulfilled by the short-term profits of fossil fuels. He certainly does not have the interests of the people of Louisiana anywhere on his single-band radar. In fact, every word he utters in his assault on climate action is a betrayal. What is your advice Robert for someone living at the edge of the sea in wild, wet and windy West Cork in Ireland,should I head for higher ground. This has been an unbelievably wet and disappointing summer, the wind never stops blowing and it is very cold most of the time. The Emerald Isle has never looked so beautiful though. I read your posts and try to spread the word but people won’t listen until it is too late. Are you on low land, at near sea level, close to the coast? I live about 10 metres above sea level. In a fierce storm a few years ago the sea innundated the land and we had to replace 6 metres by 20 metres of land. We also lost 11 trees and our area was devastated. It’s a tough decision to make. But if I were in your shoes, I’d move to higher ground. The issue is twofold. You’re dealing with both sea level rise and storms. And though sea level rise for your area won’t be as bad as for the U.S. East Coast, the storms are likely to be far worse. If you’ve got land loss now, the situation is only going to get worse. The storms you’ve seen so far are milder versions of what’s coming. One last point. Eventually many coastal dwellers will figure this out sooner or later. Better to get out ahead of the rush. – Water here, heat there, fire here — a true state of emergency. In mid June Portland had some seemingly un-PNW like clouds that caught my attention. This was as a hot dry weather pattern followed by explosive wildfires. I too photos and made some mental notes which I posted at dtlange2. 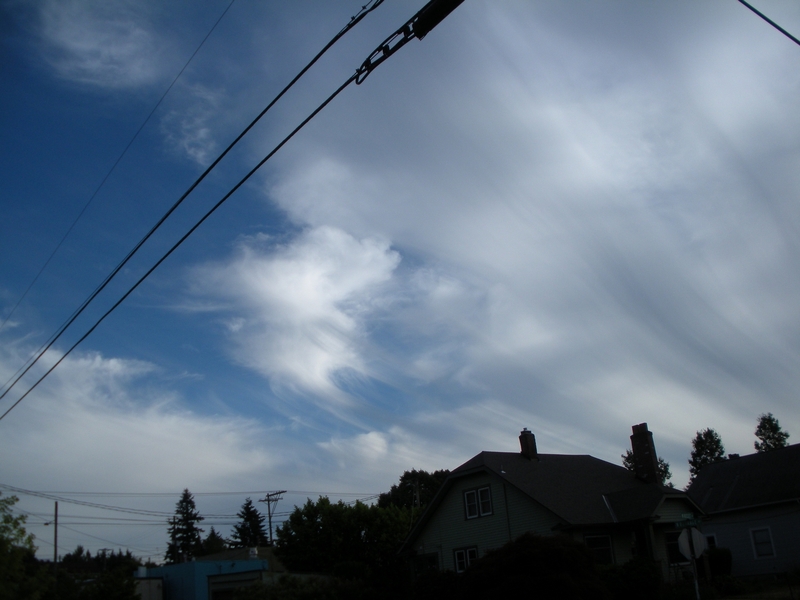 ‘An array of odd clouds over PDX PNW 0615 — Plus a summation based on ground observations. – This past June I was startled to see some really odd looking clouds over me. The weather that day was unseasonably warm but not too unusual. These clouds were mostly in the lower to mid levels of the atmosphere. New oddities showed up over a number of days. During this time a hot dry ridge of high pressure was setting up over the PNW that has held until this writing on August 26. DT, we had unusual clouds today here in the Grove also. Maybe it is part of this front coming in that is supposed to bring rain by Friday night. I’m almost holding my breath for this rain. Things are drier here than I’ve seen in my 12 years in Oregon. We have Ponderosa pines on our property that are turning brown and probably dying from the drought stress. We may get a downpour, but the ground is so dry and riven by crevasses that it will probably soak up a lot, even if it comes down pretty hard. Yes, Eric. These cloudscapes are surreal, and unnerving to me who has always looked to the sky for survival clues. These harbingers came quickly, then changed just before a very dramatic climate shift. Thanks for posting those indeed, surreal, cloud images. Great captures. If you’re chronicalling cloud formations from different areas I can send you some images to add to your gallery. The wispy clouds are a mix of cirrus castellanus and cirrus uncinus. 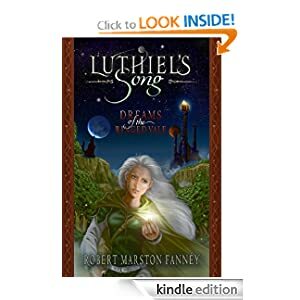 The long, wispy tails are streams of ice crystals and snow falling from their bases and streaking into the lower layers of the atmosphere, sublimating and evaporating as they fall. They’re most often seen a couple of days ahead of an advancing upper level trough and signify moistening and destabilization of the upper layers of the atmosphere. “The data shows that sea level is rising faster than it was 50 years ago, and it’s very likely to get worse in the future,” Steve Nerem, who leads NASA’s new Sea Level Change Team, said in a press call Wednesday. This issue is starting to gain traction in the media, but as many here have intimated – we may be a little on the short side of the timeline. Its been on the cards for a while I suppose. just needed somebody to write it all down. As Winston Churchill said after the first battle of Britain. looking at it as if from an extra terrestrial point of view, there is probably nothing much now that can be down about it. Things are going to change! Things are going to change. How much is still on us. More specifically on us getting the right policies in place to kick FF out the door as fast as possible. It looks like a convincing winter is coming. Here is todays chart of what the Gulf Stream is doing in the mid Atlantic right now, as of 27 August. You will have to click on it for the image. Note the heat build up in the GOM and the cold concentration to the north of about 45 degrees. What do you think fall and winter will be like in Central Europe? Fall: warm and dry (persisting ridge, remaining summer heat?) and winter: normal and wet (northwesterly winds)? Which role does El Niño play and could it be overridden by the changed SST patterns? I thought winter would be not that cold and snowy in Eastern US than last winter.. could that mean it will be a bit colder in Scandinavia and in the countries south of it? If the pattern persists the way it is at the moment with storms being formed over the Newfoundland area and moving over to Britain then the centre of Europe will have a relatively mild time as there will be a lot of warm southerly’s coming up from the Mediterranean and also a lot of wet weather coming in on westerly’s. If the low pressures start to dip over France then they could bring a lot of northerly winds to central Europe but the UK will suffer them first and probably very badly. This is the current wind map at 850 hPa or about 1,500 meters (5,000 feet.) Massive circulation over the north Atlantic! I have the greatest respect for Professor Stefan Rahmstorf and for all of the good work that the Potsdam Institute is in involved, and his paper on the AMOC was remarkable. This Ocean current has been involved in so many shifts in climate in Earth’s rich history. The National Oceanography Centre monitors the current and has regular updates on the state, and is worth following. It is likely to have a large impact on the global climate in the future, and is one of the abrupt climate change indicators. I hope to see an International Early Warning System set up as recommended by a group of top scientists some time ago. Good news. I hope the recommendations are taken. And — what took ’em so long? Good for them. I hope they quickly gain momentum. We need concentrated efforts like this. Meanwhile, the IMPACTS (Impacts of Abrupt Climate Change) group of national labs and universities seems to have been quietly disbanded. Their website lists 5 years worth of papers, but has not been updated since 2013. They ran from 2008 to 2013, and their funding apparently expired. It’s a shame, they were doing great work, from what I’ve seen. Unrealistically conservative, I think, but really solid and detailed, with the computer resources of the national labs and universities modeling things like methane hydrate dissociation and droughts. So, they were doing great work, and had an existing organization, but their funding expired, and now some people are advocating creating a new group? Why not just fund and expand the existing group? Am I missing something? Leland — we know republicans are gunning for their funding and their projects. Perhaps the new proposal is a response to that. This is what we’re dealing with here folks. People who’ve given up the ability to reason in favor of one monied special interest. People who will block policy and put the power of their donors directly at odds with the necessary action to save lives. If we elect Trump , we can deport Bobby Jindal. Jindal whines and screeches with cries of victimization while he is really a perpetrator. Beware when you hear this coming from one in, or near power. Beware when you hear the executioner whine. The wealthy complaining about higher taxes — crocodile tears. The big medical companies complaining about patient protections, universal care, and price controls — crocodile tears. Those paid to support fossil fuel interests complaining about renewable energy and the EPA — crocodile tears. If there’s someone out there profiting from hurting someone else you can bet they’re going to say something bad about government and or demonize the kinds of taxation necessary to support a just and equitable society. My only trouble with my own analysis is its characterization of the crocs. These guys are far worse than any poor crocodile. Greenland is melting much faster than we expected. So the dice look heavily loaded. Another thing not mentioned. Back in the late 80’s, some were pointing to possible increased outflow of Siberian and Arctic rivers dumping masses of fresh water into northern seas. This, it was said, posed a threat to the sinking zone between Iceland and Norway. Where the migration of fresh water would produce slower sinking. Is there any evidence that this North Eastern source of fresh water is indeed on the increase. A double whammy is not a good thing, with fresh water flowing out from West [Greenland] and East [Arctic rivers and Siberian rivers]. Good point, I would add that the Arctic has had it’s “windshield” for a very long time. Now that it’s being peeled off, and the winds can get at the water. It’s a whole new ball game in ocean currents. By the way a great new paper on the winds and current at the bottom of the world. Much of the Arctic fresh water is loading up the ESS, Beaufort, Chukchi and Laptev. Ah, a whisper in the mainstream press. Great post, Robert, thank you very much. The potential is mind boggling, the time frames are diminishing, and the momentum seems to be building. Drastic times will require drastic measures. What a challenge. The last 2 posts should be filed under the “Sick Oceans Series”..
Good thoughts… Will look at organization. I will be keeping an eye on my old home (UK) over the autumn and winter to see what transpires. But I expect it’ll be another record-breaking wet season! Meanwhile, in New South Wales, as we are just about to welcome in spring in Australia, massive floods have hit a wide area of NSW, with some places receiving 400mm of rain in 2-3 days. Not only that but dams are at risk of overflowing and causing massive flodding downstream. Evacuations have taken place. With the powerful El Nino becoming ever-more powerful, expect to see heatwave stories coming out of Australia in a few months. Indeed, potentially a few weeks. It’s not uncommon in Australia to have places that have been flooded have bush fires a matter of weeks later. It all adds up to a feeling that when we’re told that action on climate change is urgent, but it’s not too late, that actually it IS too late. I have 2 kids under 10. I’m thinking that living in Perth, removed from much of the worst of the affects of our changing climate, isn’t too bad really – but I do fear for them and what the world will be like when they’re looking at having their own children. Could scientists have just discovered the lost palace of Sparta? Everyone points to Athens as the birth of the Western World , but Sparta gave us our dark underside, and our “warrior culture”. The right wing loves the “warrior culture”, but what they did to their kids is insane. They kept tens of thousands of slaves working for them all the time, always fearing a revolt. Nothing like it appeared again until the Spanish mined silver in the New World , or the American South farmed rice indigo , and cotton. Sven Beckert’s remarkable and unsettling new book, Empire of Cotton: A Global History. University researchers have tracked the rise of sudden death syndrome (SDS) from relative obscurity to its current status as the second-leading cause of soybean crop losses due to disease in 2014. Remember folks, all the tiny things have made the jump to the new world. Or they are making the trip Tonight. Dr. Barker believes all the dinosaurs got sick before the impact hit. Because the climate was changing. And that is our history , more than one thing happens, and world changes. In our case over 7.1 Billion people are making the changes. Very soon a fungus will begin eating every 2×4 in every wall in America. Why ? It’s food . And it’s wood. 2 linls on fungus . Please set me free. No worries, Bob. I generally let them through — unless they’re slowing down the load times. First post. Thank you, Robert, for your work on this issue. This site has become a daily stop for me. I didn’t see this covered here, apologies if I missed it. ” Satellite images show that the fastest moving glacier in the world shed a chunk of ice measuring around 12.5 sq km this week – one of the most significant calving events on record. Radar images from Sentinel-1A captured the Jakobshavn glacier in western Greenland before and after the event, which took place between 14 and 16 August. Comparing images taken on 27 July, and 13 and 19 August, the new face of the glacier has been pushed inland by several kilometres to what appears to be its furthest easterly location since monitoring began in the mid-1880s. The image time series suggests that between 27 July and 13 August, the glacier advanced westward before the calving caused rapid retreat of the ice front to its position on 19 August. umm, let’s remember the “dismal” (or rather, abnormally cool) weather all across northern Europe this past summer has likely been partly due the atmospheric reorganization associated with the development of El Nino. This somewhat changes the distribution of lows and highs in Arctic boosting the northern cold component of all systems moving in northern Europe. This should revert back to more normal stuff once Nino is fully developed, I guess. jyyh, A useful term: “atmospheric reorganization” — a good descriptor on many levels. 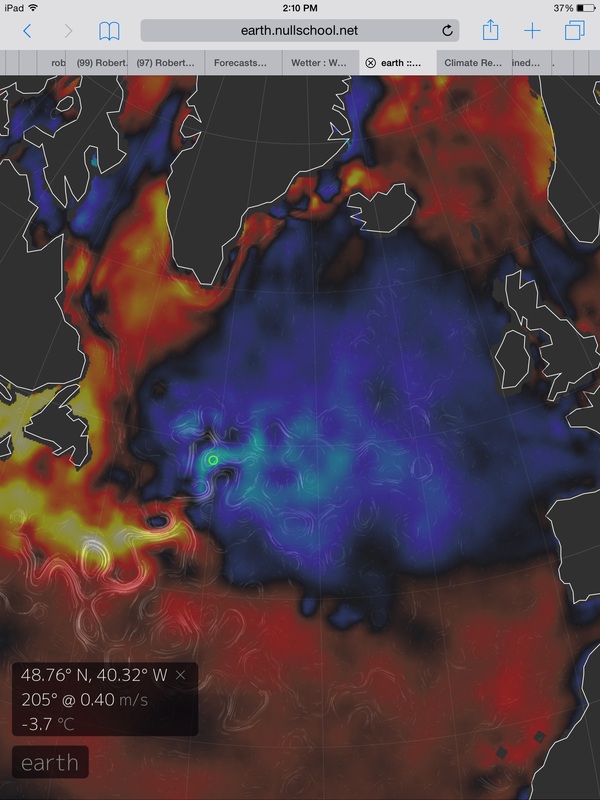 The North Atlantic cool pool is not a feature of El Nino. It’s a feature of Greenland melt. And that feature is having profound impacts on climate. However, there does appear to be a synergy between El Nino and drought/heat in eastern Europe and this particular El Nino may be developing a synergy with an already amplified North Atlantic storm track. Perhaps someone should remind Russia’s President Putin that the 1942-43 Battle of Stalingrad/Volgograd, Russia, etc. was decided in large part by cold wintry weather. 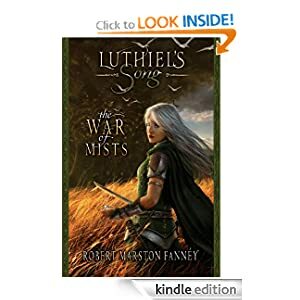 Snow and ice sealed the fate of the overextended German army. Changes in current is the main driver. However, if you have a persistent loss of the southwesterly wind flow, then the pile up is amplified. All these predictions are coming to pass in a much shorter time span than most scientists thought. I am at present in Colorado, but am returning to my home country, England, about a week before Christmas. The winter of 2013-4 there was bad enough but I’m wondering whether I will return to much worse this year. Reading about flooding in areas of North London, that I used to walk through is bizarre, especially following on from the rains in Tunbridge Wells, were we regularly visited when I was a child. I do hope that if the downpours of August continue there, that Downing Street and the Houses of Parliament get hit hard. The spectacle of David Cameron and George Osborne having to be rescued from upstairs windows and lots of bedraggled MPs in launches, would at least give some great schadenfreude, even if it wouldn’t actually bring any sanity to the Government. Meanwhile, on the other side of the Atlantic, what next for the Jersey Shore? I used to visit the beaches from Sandy Hook to Point Pleasant. They took a huge hit from Hurricane Sandy, but climate crock Chris Christie wants to rebuild it all. Methinks the money could be spent better elsewhere, but what do I know? They’re trying to re-establish a sense of normalcy. It’s one of the aspects of denial that makes it so insane — continuing to do the things that failed in the past. It’s a Stevie Wonder composition. It was really good to read today that France are accelerating on renewable energy, it’s the only way to go to adapt to life in the post industrial revolution age, and the only way we have a hope to limit our damage to 2°C. They have doubled their target size (mainly due to falling solar prices). And thanks to youtube my favourite female singer from the sixties to celebrate it with . . .
Good news. The advance of solar and wind really has the fossil fuel cheerleaders in a huff. They’re expending massive political capital to fight it now. And they’re losing. But, in my view, far too slowly. A fitting song from a great UK artist to brace for the coming deluge. I prefer this simpler version, way more emotional. Carbon Monoxide concentrations of 25 ppm, in the open air, near Nespelem Washington, population about 240. This level can cause some symptoms of carbon monoxide poisoning, exaggerated in fetuses, infants, pregnant women, the old, and heart patients. In Siberia, officials have been aware of high carbon monoxide readings for quite a while, apparently – they have been warning the population against smoking or drinking alcohol – which would also increase carbon monoxide or decrease oxygen levels in the blood. Many thanks for sharing that Earth view showing the carbon emissions and for the CO information. I could not imagine, in my wildest dreams, such a tool being available in my younger years, how technology has progressed. The 3 storm systems in the Pacific (Hurricane Ignacio, TS Jimena and TS Kilo look amazing as they interact with each other and I imagine it is very turbulent in that region. I understand the hurricane may venture to Hawaii later on. Oh, I found out about earthnullschool here on robertscribbler. Isn’t it amazing? Yes, I’ve also been watching the remnants of typhoon Atsani on earthnullschool, which could bring rain and snow to Alaska. I think some of the moisture is circling around the Ridiculously Resilient Ridge. This seems to be creating storms that could come down through the Pacific Northwest toward the end of the week, and maybe reach even into northern California. These storms are also transferring equatorial heat to Alaska, as Robert pointed out a week or so ago, a new storm track. Yes, life is just getting good, with smart phones and all the amazing web tools. And now, unless we change our ways, we are threatening all of that with abrupt climate change. You can’t make this crap up, it’s too strange and tragic. These spikes are the direct upshot of widespread wildfires. Only way to deal with it is to halt the conditions that are causing this global explosion in biomass burning. Yes. I wonder if the smoldering fires we are seeing in areas with combustible soils will create higher CO spike levels in the future? Are health effects from CO exposure another unanticipated side effect of global warming? Delayed sequelae are more common following severe poisoning. All of this is from acute CO poisoning, not the lower levels we are seeing in the open air. Still, in children or fetuses, or heart patients or the old, or in people who are drinking or smoking at the time of the exposure… don’t know. “The shore of a cove off Maine’s Friendship Long Island has long been the best site on the East Coast to find baby lobsters, she said. Around 2007, she couldn’t lift a rock without finding one, and usually found several. “New research confirms that the land under the Chesapeake Bay is sinking rapidly and projects that Washington, D.C., could drop by six or more inches in the next century—adding to the problems of sea-level rise. ““Right now is the time to start making preparations,” said DeJong. “Six extra inches of water really matters in this part of the world,” he says—adding urgency to the models of the Intergovernmental Panel on Climate Change that project roughly one to three or more feet of global sea-level rise by 2100 from global warming. This article at WP breaks my heart and enrages me all at the same time. Thank you for continuing to connect the dots and synthesizing the science/realities of AGW. I work at a community radio station in the Midwest where we shared your latest story this morning—-got quite a few calls afterward—– people appreciative of hearing the information you provide. The truth of what is happening to the earth due to human consumption of fossil fuels (among other abuses) must be spoken, repeatedly. How it is essential to live with reverence/respect for the earth must be spoken repeatedly as well. If you are available to do another radio interview, please contact me via my email. I’m available, Caroline. Will send the email presently. This large sea surface height gradient speeds up transport across the Atlantic and into the Arctic. You are correct that this is what Hansen is predicting – stronger storms in the north Atlantic. The strong storms in summertime were not usual. They are becoming more common. Examination of Florida current data show that the Gulf Stream has been stronger than normal for the last 6 months or so. 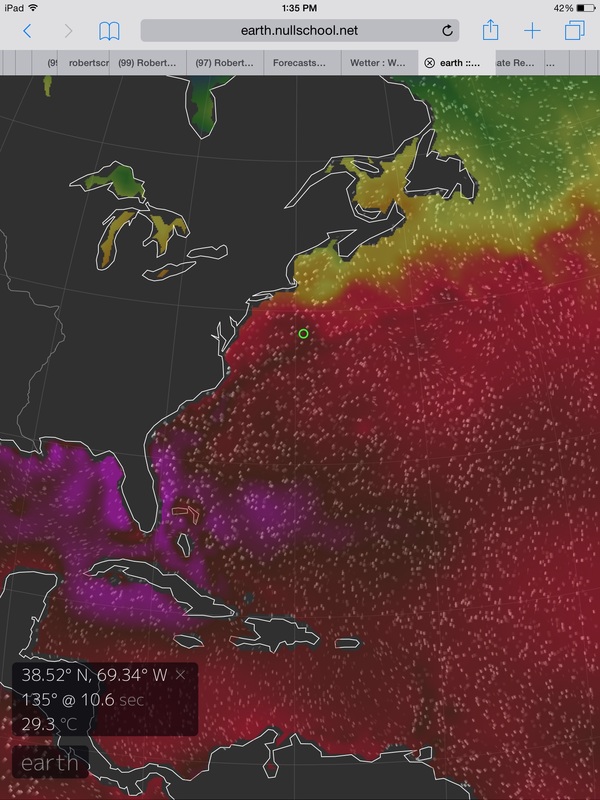 The Gulf Stream is not slowing down right now. We should be grateful for this record-setting occurrence of three major hurricanes in the central and eastern Pacific. Each of them is releasing approximately one Hiroshima atom bomb’s worth of heat per second! That heat is effectively removed from our oceans and vented into the upper atmosphere and outer-space. Our planet is doing all she can to create equilibrium, to cool our oceans back down to the level that is best-suited to Holocene adapted organisms – such as humans. We’ve got about +1 foot right now from Gulf Stream back up. Complete halt is probably not in the cards for at least another few decades. It takes a pretty substantial melt rate from Greenland to achieve such an event. Nonetheless, what we see now is a good degree of AMOC weakening. Whilst you mention that media fails to report these underlying causes and it does not I agree. Do not think that silence is ignorance at the top. The UK Met. Office has many powerful tools a brand new super computer and many field stations and facilities including offshore islands. They certainly know what is going on they have brought n many changes to the public interface over recent years – Weather warnings, Flood warnings and now started to name storms. All to ‘normalise’ these weather changes. Yes the Greenland melt has considerably speeded up but then so has the magnetic pole movement. I ‘ve lived in Cape Coral Florida for almost thirty years now …….besides changes in our seasons and rainfall I have notice water level rise. A normal high tide near the river ( connected to The Gulf of Mexico ) pushes water up over the boast docks all the time ……. Your region has seen some of the fastest rates of sea level rise on the East Coast. Unfortunately, more is on the way. Much more. My parents also live in a coastal town. I’ve been trying to get them to sell property and instead rent. Given where we are now, it looks like the low lying regions at the very least are going to be inundated over the coming decades.